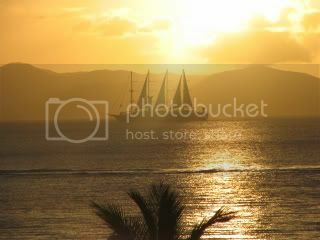 For our 2009 winter trip, we decided to cheat on STJ and venture further off the beaten track to Virgin Gorda. In addition to a new place, we also took our longest vacation ever – 10 days on the island. Based on forum recommendations, we used Winner Airport Parking’s valet service instead of the hotel parking/shuttle. We liked it and will use it again next time we fly out of PHL. At 11pm at night and tired from a long day, it was nice to walk out of the terminal to our car. We flew American from PHL to SJU. Flights coming and going were on-time and hassle-free. While we weren’t thrilled with American’s PHL self-check in, we did zip thru quickly. Upon our SJU return, American was forcing lots of passengers to gate check their carry-on bags. By the time we got to the gate, they stopped checking size. 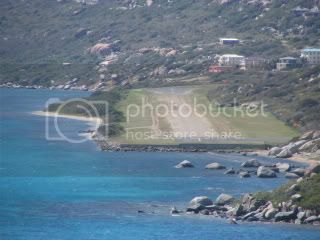 Because our PHL-SJU tickets were cheap, we decided to use Island Birds charter service to get us to Virgin Gorda. The cost was even-up when compared to the alternative STT or EIS plus ferry routes. This likely spoiled us forever. Whisked to the front of the security and customs line, cooler full of Heineken and water for the flight and great service all the way around. 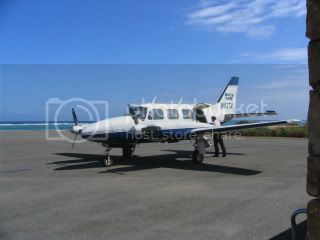 If you ever have a group and need to get from SJU to one of the other islands, I would highly recommend Island Birds. When planning our trip, I had a worry that going “all the way to VG” would make for an awfully long travel day but we left Philly at 7:30 am and touched down on VG at 2pm. Speedy’s provided our rental, a Ford Explorer, that was well-used enough that we didn’t need to worry about adding scratches or stains to the carpet. I must mention the weather as it really impacted this vacation. In all our trips going back to 1995, we have never experienced such long periods of unpleasant Caribbean weather! Rough seas all but one or two days, rain came down in buckets for two days, wind and COLD! I didn’t think it was possible to be so cold in the VIs. The house had a solar hot water heater and outside showers. No sun = no hot water. Cold water + wind + rain + outdoor shower = v. unpleasant bathing experience. ‘Nuff said. 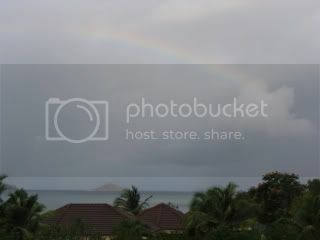 We rented Open Deck Villa at Mahoe Bay. Overall it was a very nice house. 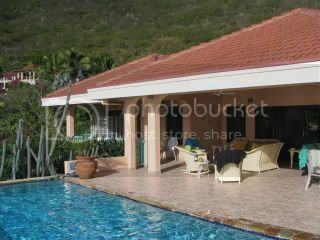 The outside living space was wonderful and the pool was quite warm. The house came with daily housekeeping service. While I enjoyed having someone else make the beds, wash the towels and empty the dishwasher, it also felt strange to have someone puttering around us while we were chilling (literally and figuratively) out on the deck. Even though the neighboring villas are rather close, the landscaping nicely shields each house from its neighbors. Speaking of landscaping, Mahoe Bay has a homeowner’s association. All the villas are maintained by the association, hence the housekeepers, and there appeared to be 15 or more employees running about each day. The maintenance shed and parking lot was right in front of Open Deck so we could hear the daily activities of the crew each morning and afternoon. We are early risers so it didn’t bother us too much but someone who likes to sleep in, especially with the windows open may feel differently. It did, however, take away from the tropical vacation atmosphere. I missed the natural soundtrack of most of our STJ rentals. The beach access was so convenient, just out the door and down a path. 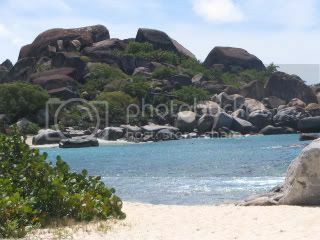 In addition to Mahoe Bay beach, we visited Savannah, Pond Bay, Little Dix, Spring Bay, Devil’s Bay and the Baths. All were lovely in their own way. Spring Bay was our favorite. We had more on our wish list but the weather/swells hampered our beach visiting efforts. We visited on a day when it was packed with families picnicking. While it was crowded by VG standards, it made for a festive, fun atmosphere. 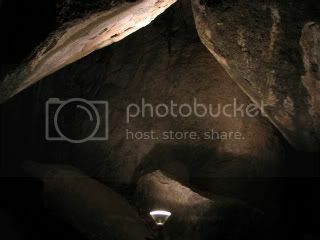 The Mine Shaft – liked it so much we went back again for our last night. 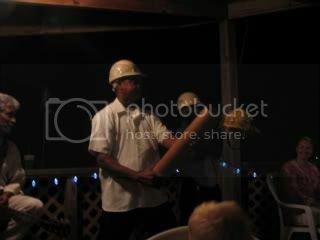 For anyone who has been there on Friday Night to hear Morrisman, my husband was crowned the Big Bamboo. Any restaurant that incorporates fireman helmets and large sticks of wood into your dining experience is worth a visit in my book. Later in the evening, my husband was put on bartending duty. We are still trying to figure that one out….. The Rock Café – this was a really interesting place. The outdoor seating is set in a field of boulders, imagine the Baths as a restaurant. Little Dix – We ate lunch at Little Dix twice. The lunch buffet was very good and I normally do not like buffets. The offerings included stew conch, rotis, a large assortment of cheeses, burgers and dogs right off the grill, roasted pork and so on. I am sure I ate my $40 worth of stew conch, it was so good! The second time we ate at the Beach Grill (I might have the name wrong) and it was also good. Saba Rock – Another excellent lunch. Saba Rock is reachable only by boat. The dock at Leverick Bay called Saba’s water taxi to pick us up. Leverick Bay – We tried the Friday night BBQ. We did not have a good experience. The manager offered to send a cab for us. Great, I thought, we don’t need to drive home. The cab showed up 50 minutes late, made more stops and we didn’t arrive at Leverick until 8:30 for a 7pm reservation. Not surprisingly, the host had given our table away so we had to beg and plead for a seat. We were all tired, straving, thristy and no waitstaff in site. It all went downhill from there. I have since learned that the taxi and losing your reservation/table is a fairly common occurence so if anyone out there finds themselves on VG and wants to attend the Leverick BBQ, drive yourself and get there early. Lesson learned, beware of free rides. Later in the week, we did have a wonderful meal at Leverick’s other restaurant, Upperstairs at Leverick Bay. The Dockside - lunch This place had Stew Turtle on the menu. I considered ordering it but Husband had a fit as he thought it was sea turtle. I asked the waitress about the meat and either she didn’t understand my question (English was not her first language) or she didn’t want to tell me. I had a fish sandwich instead. Mad Dog’s – lunch. I had the best bushwacker(s) of my life here. I could have drank gallons. 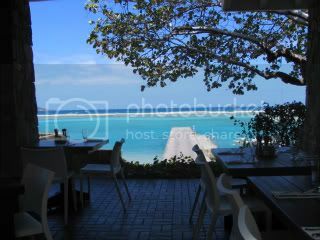 The Restaurant at Nail Bay – can’t remember the real name. We ate dinner there once. LSL Bakery for take out – Very good and I wish we would have tried it earlier in the trip. The Flying Iguana – In truth, we just drank at the Flying Iguana while we were killing time waiting for our flight. This place and its owner Puck gets rave reviews on the TTOL board. Upon our arrival (we waited for the villa rep at the bar) and our departure, I inquired about lunch but Puck just didn’t seem in the mood to cook. Fortunately (or unfortunately) no new patrons wandered in seeking service. One of his friends stopped by and didn’t seem to find it odd that Puck left the bar open with only us to watch over the place. Our friends visited the Little Dix Spa for massages. They often do this on vacation (Hawaii, Vegas, places like that – point being they have visited many spas) and they raved about Little Dix’s spa. Our son enjoyed this site so much. He declared it to be “my castle” and pestered all week to return. We did on our final day. 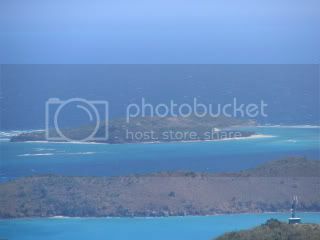 Each time we were at Leverick, we saw Necker Island staff coming and going. Wonder who was on the island that week? 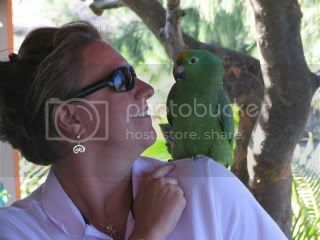 Virgin Gorda has its fair share of chickens and roosters. While eating lunch at Mad Dog’s, a chicken bit (pecked?) my son. I must admit, I laughed when it happened. My son, however, did not see the humor (3.5 year olds, go figure) and for the rest of the trip was constantly on the lookout for restaurant/beach/bar chickens. 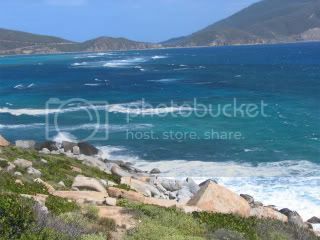 Virgin Gorda is much less developed than St. John. The main roads were paved but where we stayed, it was a mile or two on washed out dirt roads to reach the paved road to town. When planning our trip, the location of our rental house didn’t seem too far away from town but after a few days, it felt like we were spending a lot of time in the car going back and forth to lunch and dinners. We live in a rural area so the appeal of dirt roads, no matter the location/island, is lost on me. Along with being less developed, it lacked things we are used to having easy access to on vacation like food. Although it shouldn’t have considering VG is an island, this really took me by surprise. We had intended to cook in more on this trip as we thought we would get burned out by eating out each night but we simply could not feed ourselves out of the grocery stores. The one night we did try it, it took trips to 3 different stores to put together a meal. The “burgers” were comprised of beef heart pieces and other ingredients I blocked from my memory. Often one store would be completely sold out of something like bottled water so we would move on the next place. I will never, ever again complain about shopping at the Starfish Market. The island was empty. We didn’t see more than one or two other families on the beaches. The exceptions were Spring Bay and the Baths. It was an odd feeling to walk into most of the restaurants and be the only table. The BBQ and the Mineshaft were filled to capacity on Friday nights we visited. Most residents we talked with openly offered that the US economy is having a negative impact on the island. The island residents we interacted with were so friendly. It was a pleasure to meet so many nice people so willing to tell you about their island. It sounds corny but we felt like they were interested in helping us have the best vacation possible. The wait staff and bartenders were full of suggestions for things to do and see. We never made it to Anegada. The weather just didn’t cooperate and I wasn’t up for a rolly ferry ride with the little guy. We also didn’t find time to hike Gorda Peak. When it was sunny, we rushed to the beach. Someone advised us not to bother with the hike when the skies were overcast and I took her advice. 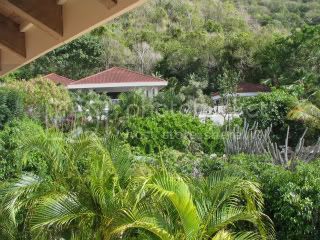 While we loved the beaches and the house we rented, Virgin Gorda was a harder vacation in the sense it takes a bit more work than STJ. I am at a point in my life that I don’t want to work on vacation, I want it to be easy. As I mentioned, shopping took several stops. We spent at least two hours one morning tracking down anti-itch cream for someone’s giant skeeter bites. We also really missed having a town to stroll around in at night. 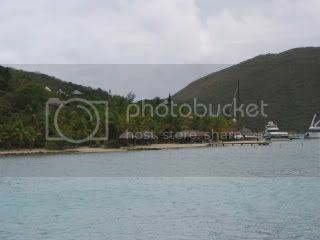 When on STJ, we really look forward to going to town, parking, popping in and out of bars and having dinner at a leisurely pace. Spanishtown doesn’t have that feel to it as it is more of a grouping of businesses serving the marina with a restaurant once in a while. Over the weekend, my husband and I cracked open a bottle of wine, looked at our pictures, and talked about the trip and both our attitudes have a changed a bit. We may go back again in a few years. Now that I know what to expect, we would do some things differently. I would plan better for meals. I wish we would have arranged to have someone come in to the house. I also would look into meal delivery. Again, I had names of several people that do drop off meals but we never got our act together enough to plan for this. We would likely go alone, just the three of us. Our travelling family gets along very well (three of the four adults lived together years ago) and we know how to “be” together but our friends need a bit more to do on vacation than VG offered. I would get out on the water and explore the North Sound. Unfortunately, the weather didn’t allow for this. I would consider staying down towards the Baths in the area of Guavaberry Springs. 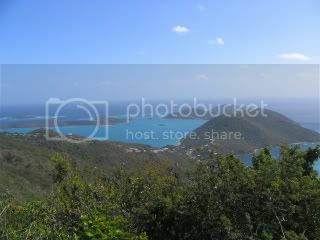 The location would better for going out at night and the topography of that part of the island was just so interesting. 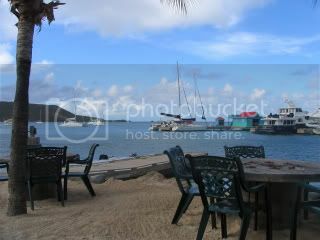 So now we are planning the next STJ trip for February 2010 or maybe sooner if the summer specials look especially sweet. I guess it's all about perspective. Many people think STJ is roughing it. I'm sorry that the weather did not cooperate for you. Your pictures don't show it though! Thanks for your report and pictures. Real nice photos. That’s too bad about the weather and I also just saw where somebody else had that problem with the Leverick Bay “free” taxi. Funny you mentioned about the drive to/from the villa to town etc. wore on you after awhile – understandable with that road out to Mahoe – BUT (sacrilege alert!) 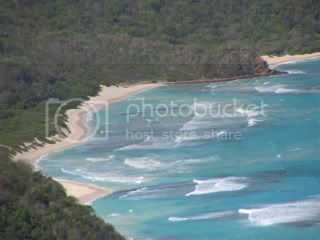 I feel the same near the end of a week in STJ about having to always get in the jeep to get to/from the beach. At least you didn’t have to drive to get to a beach. Yup - provisioning much more of a challenge on VG. Another reason to stay at one of the Guavaberry properties – their well stocked help-yourself commissary would have most of what you needed, at prices equal or less than Bucks Market. Good points about how VG is a completely different vibe, what with the lack of a real town center, less vegetation (more like the East End of STJ), etc. but really really friendly people and of course, that unique topography and some great beaches (but not as much top level snorkeling as STJ). 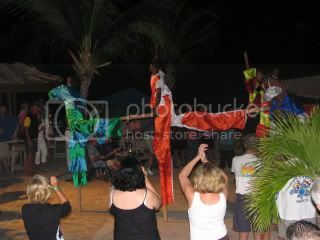 The ideal trip for us was in 06 with 6 days on STJ and 5 in VG. 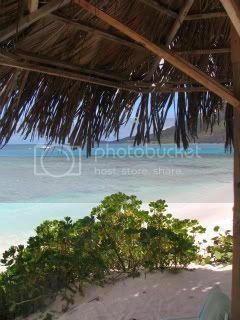 I’m not sure we could do 10 days there and we really like VG – just not enough happening, although if you had ideal weather you would’ve broke it up with the daytrip to Anegada, the North Sound boat rental etc. I hope my trip reports from VG didn’t over-hype it. I always tried to put a disclaimer in there that just because someone “gets” and loves STJ, doesn’t mean they will automatically love VG. Not saying that about you – seems like you tried to anticipate what you could and planned well and for the best, but maybe the best didn’t happen, and the weather certainly didn’t help. I know the first time we go somewhere there are always coulda woulda shoulda too. That said, your pictures do look great and makes me miss the place. ...really enjoy being transported by long reports and this one is great. Thanks for sharing the details; friends have mentioned the VG runway and it was neat to see your photo of it. jmq wrote: The ideal trip for us was in 06 with 6 days on STJ and 5 in VG. 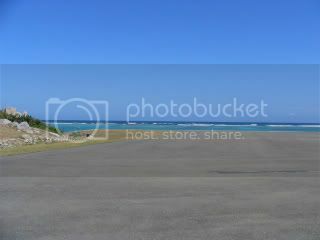 I’m not sure we could do 10 days there and we really like VG – just not enough happening, although if you had ideal weather you would’ve broke it up with the daytrip to Anegada, the North Sound boat rental etc. jmq - a split trip would have been a perfect first trip to VG for us. And no, you didn't over-hype it. 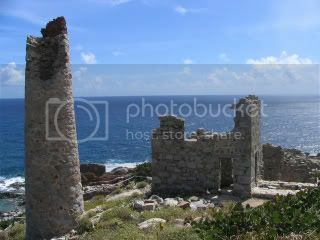 I did tons of research before going there including reading the TTOL forum, books by local authors and cruising guides. Gauvaberry will be the first place I look into if/when we return for an extended stay. 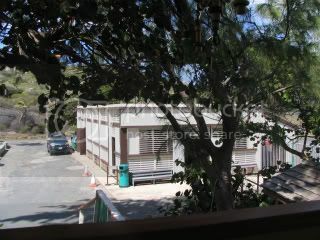 I consistantly hear good things about the property. By the end of the trip, I joked that the people at the restaurants were spoiling our son as each time we went to eat, the host/hostesses and waitstaff were fawning over him. They definately like children. Great report! 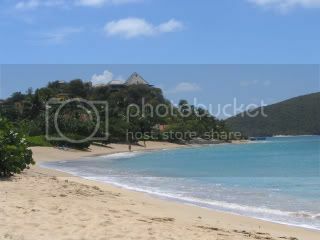 My DH and I vacationed at the Mango Bay resort at Mahoe Bay in Dec 07, and then tried STJ for the first time in Dec 08. I think for us, STJ was the clear winner. 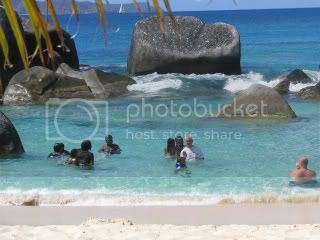 That being said, your report reminded me of a lot of things I really enjoyed about Virgin Gorda. In addition, I also felt that if we were to return, we'd be looking at Guavaberry next time. And, the Mine Shaft was our favorite place to eat. Go early, and be rewarded by a great sunset. For others planning to go to VG, I'd heartily recommend the Fat Virgin Cafe for a lunchtime burger, and hiking to the top of Gorda Peak. If it was that rainy you must have been taking pictures on all of the perfect days. They're really good! I think it's great to experience other places but we always end up back on St. John. Great report and pictures. You certainly took advantage of the good days. I'll have to remember Island Birds next time we go to VG, We did the STT/ferry/taxi/ferry route - it was a long day. Did you get another "BVI" bumper sticker? I ask this because I recently found yours in the book I loaned you. I bet you were wondering where it went! I was looking forward to reading your take on your trip...thanks for all the detail. The three times we were on VG, it was never for more than 3 nights and I can see that you would want to be 'ready.' Similarly, we found that the 5 nights we spent on Jost once were too long without having prepared for a longer stay with good provisioning, etc. I didn't realize VG was so similar in that respect. OMG Ruth, that's what happened to the sticker! When we got home, my husband asked about it. We decorate our son's stroller with stickers from our trips. He is too big for the stroller now and we have passed it on to a friend. I take a lot of pictures, over 500 this trip. To keep my files under control, I delete all the pictures I don't like. Also, I didnt' take my camera out in the pouring rain. The first really rainy day our friends went to Little Dix for massages and we headed down to the Marina. 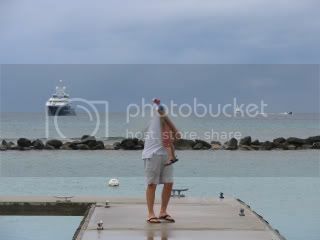 We parked ourselves at the Bath and Turtle outdoor bar and watched the cruise ship people (there were 2 or 3 ships at VG that day) on day trips and the sail boaters get drenched. My husband turned to me and said "at least we aren't on a boat." And then we had another pre-noon Heineken. Even with the weather, 10 days went by so quickly. I think I have my husband sold on 10 day-ers going forward. Yes, I pinched the heads on this one. Husband forbids the posting of our son's pictures on line. The above was at the Dockside, home of the Stew Turtle lunch offering. That's interesting about you guys being the only diners each night. That's the way it was for us last July, but I thought it was because of low season. My feelings and experiences were similar to yours about VG. We were intending to stay for 4 nights, but left after 3 so we could get to STJ quicker. I did enjoy the people of VG. They were very personable and made for a great stay. 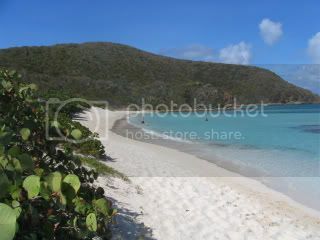 Savannah bay was probably the only other beach that had that pretty factor to me, besides the baths and spring bay. Spring bay beach is definetly the best beach, in my opinion. Guavaberry was great to stay at. 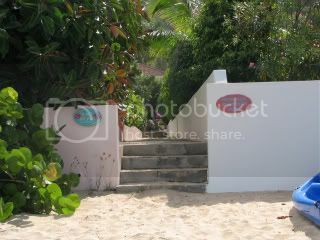 A little rustic and basic, but it was completely fine for our needs and a quick walk to spring bay. I did like how quiet it was, but i guess i could only take it for a few days. I mostly missed the lushness that STJ has. one thing i like about VG better is their jeep rentals are only 50 bucks a day, and you don't have to worry about the amount of sand you leave in it . Really good reporting! I learned a lot.